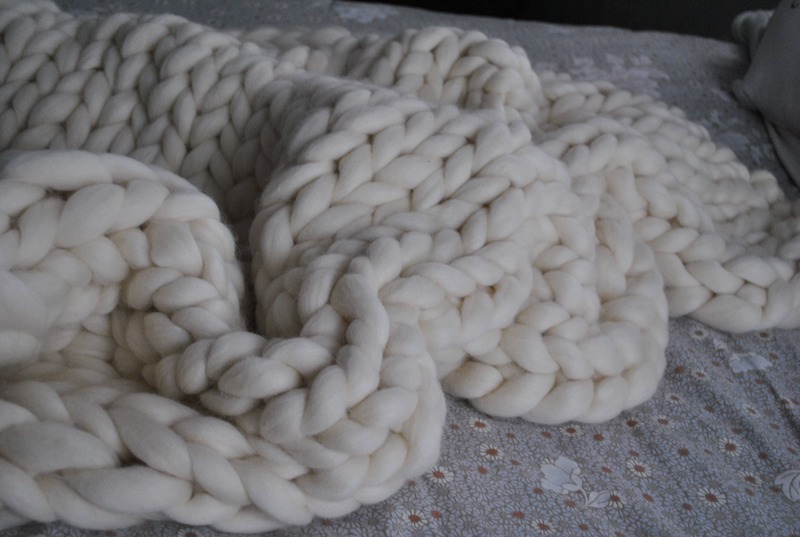 Chunky Knit Blanket, Merino Wool, Handmade, Arm Knit, Roving Merino Wool. 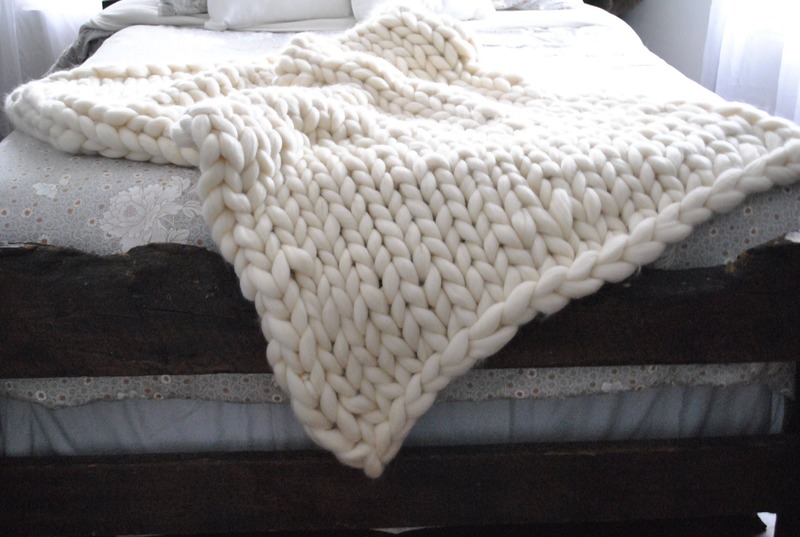 This chunky Merino Wool blanket is knitted by hand and made to order in our smoke-free studio. 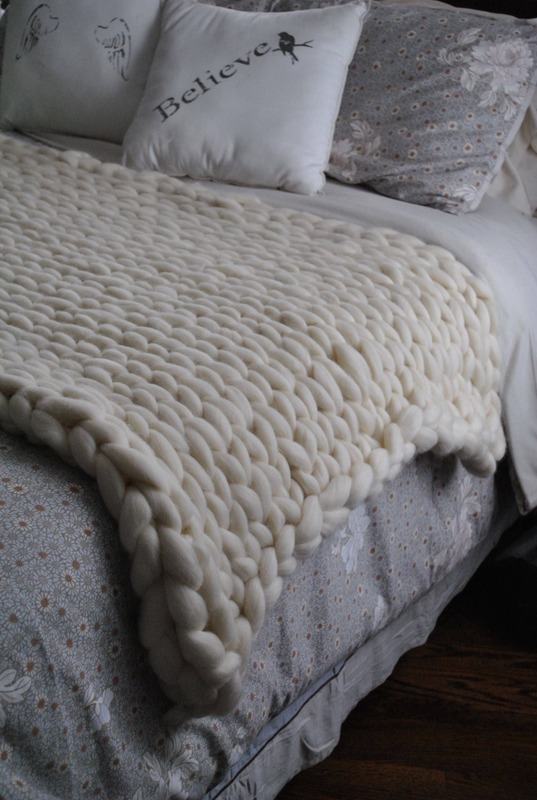 It is made from ultra extra soft Merino (23 micron) top roving wool in natural white (unbleached) color from sheep breeds Blackface and Romney in the Eastern half of the United States. 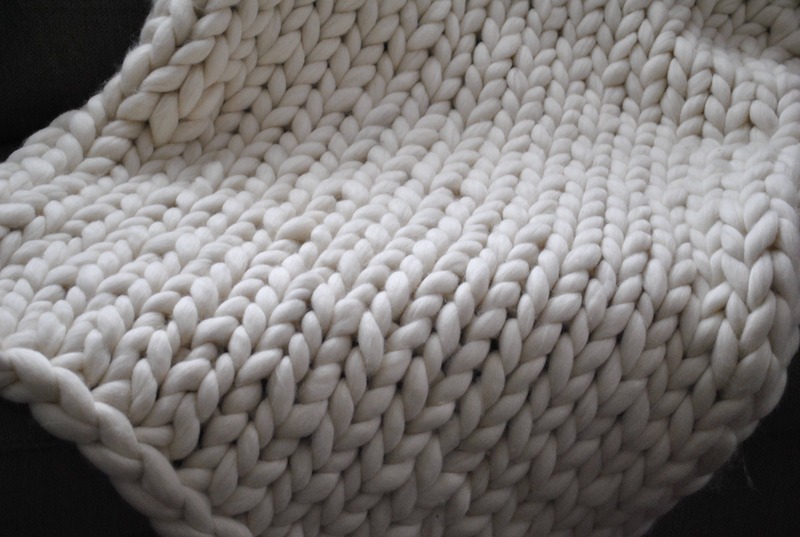 The beauty and softness make it the perfect statement piece to accent any style of decor with a touch of luxury and comfort. 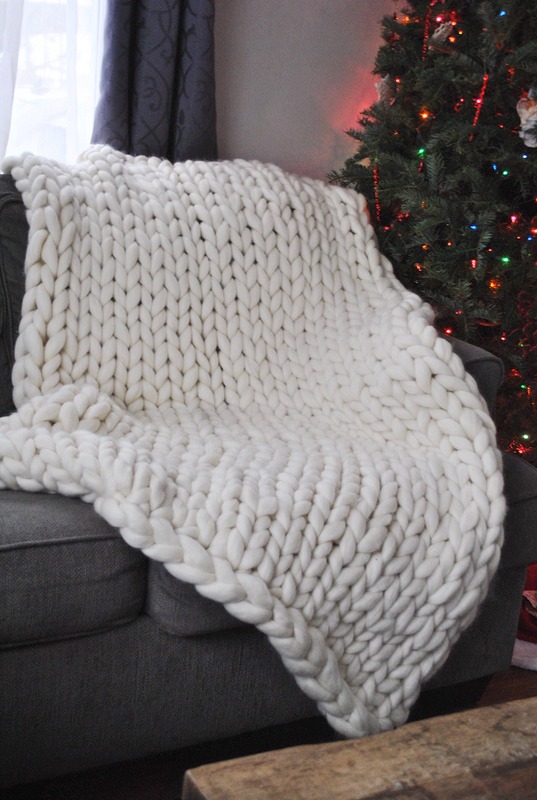 Just as great for the living room as for the bedroom! 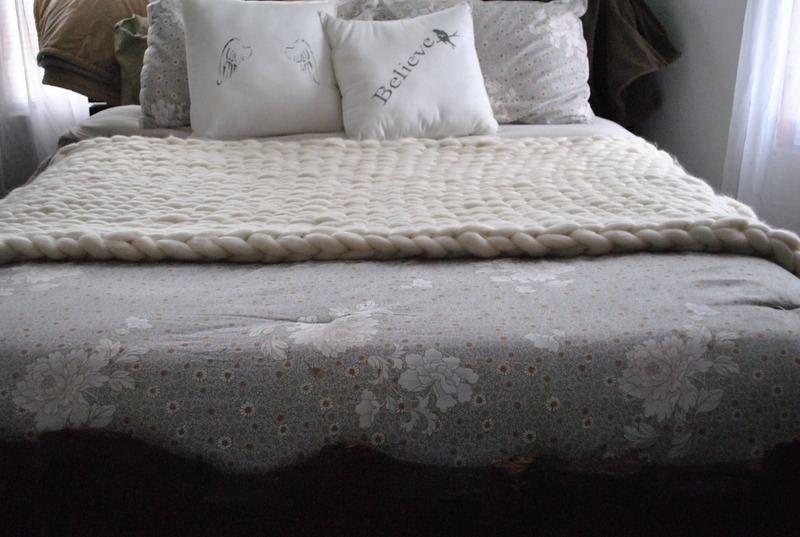 Merino Wool is a luxuriously soft and naturally beautiful fiber that is hypoallergenic. It is also somewhat delicate and needs to be handled with care. Some shedding and pilling may occur with use. 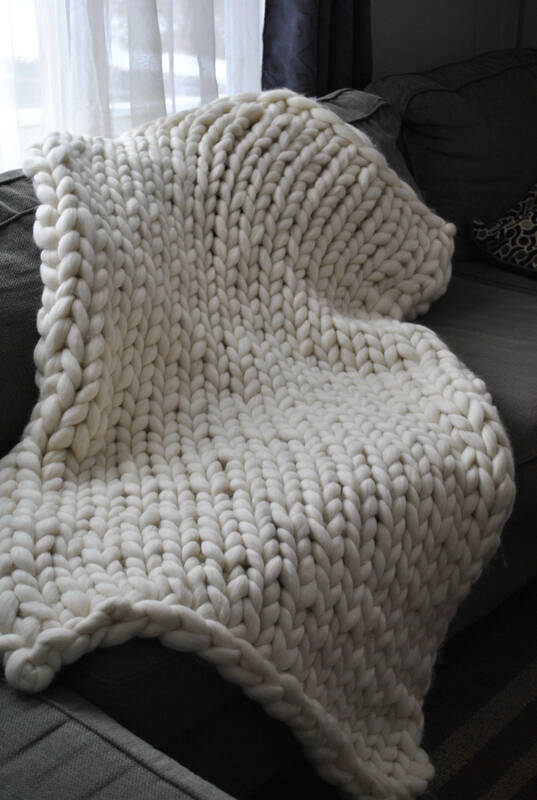 You can preserve the beauty and softness of your chunky knit blanket by keeping it out of high traffic areas and areas where it is likely to be stained. If pilling does occur you can remove it by hand or with scissors but please take gentle care as you do so. Do not machine wash. Dry cleaning is recommended when necessary. If spills occur, rinse area with cold water, squeeze gently with a clean towel, and air dry.